As part of parent company Movie Gallery, Inc.'s Chapter 11 bankruptcy reorganization, video game retailer Game Crazy stores are dropping like flies, with only 250 stores remaining open in the U.S. once the smoke clears. 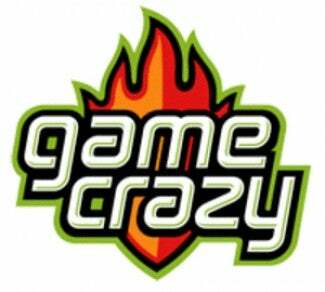 The closest thing GameStop has to a competitor, the Game Crazy brand, often paired with Movie Gallery's Hollywood Video stores, had a pretty good run, with upwards of 634 retail locations at the height of its success. The chain took a serious hit in October of last year, when approximately 200 locations were closed due to financial problems. Apparently those closings weren't enough to solve Movie Gallery's financial crisis, with the company announcing yesterday that it and all of its subsidiaries (barring Canadian locations) filed voluntary petitions for Chapter 11 reorganization in U.S. Bankruptcy Court. The restructuring plan calls for the immediate liquidation of 760 stores across all of the company's chains, leaving 1,906 stores in the U.S. - 1,111 Movie Galleries, 545 Hollywood Video locations, and 250 Game Crazy stores - with more closings expected as the reorganization process continues. Movie Gallery has released a document for Game Crazy customers, letting them know how to handle service contracts, gift cards, and Game Crazy MVP programs, should their local stores take a hit. Customers are urged to check the Game Crazy website's store locator to determine their store's ultimate fate. Closing stores will be refunding all preorder fees. I'd say it's sad to see so many of the stores closing, but here in Georgia they've never even heard of the chain. I might have drove by one once. Are you a Game Crazy customer?